Thank you to True Pilates East for hosting one of our double workshops and thank you so much to everyone who came. 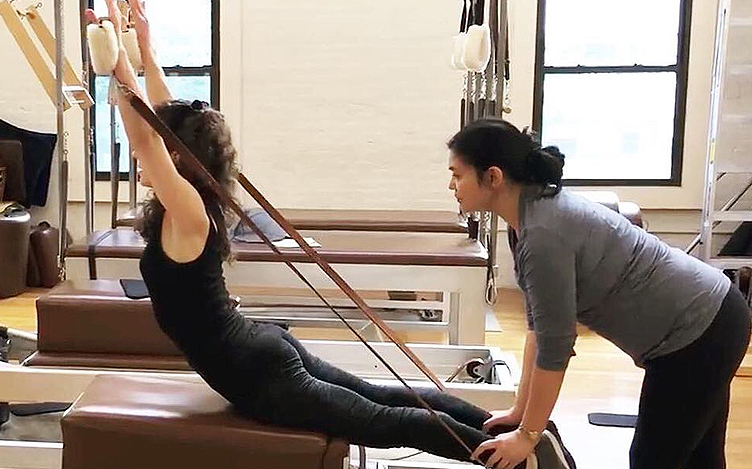 It was a really amazing experience to be able to teach a workshop at studio like True Pilates East, one of the only fully equipped Gratz studios in NYC and with such a reputation for excellent teachers and excellent standards in upholding the Pilates Method. Sean and I taught the following Double Workshop: How Pilates Works the Lymphatics (with Sean) and Historical Reformer Exercises (with Elaine). Everyone who came was curious and involved and there was a warm and welcoming energy in the room. We had a great time and hope to return to True Pilates East again in the near future.